We have a long history of providing quality services to people with disabilities and their families. In fiscal 2018, The Arc Mid-South provided 504 hours of vocational and basic skills training for 76 clients, personal assistance to 65 clients, personal assistance through CHOICES program to another four clients, respite care for 30 families, summer camp for 20 people, monthly weekend retreats for 19 people, in-home care to 40 senior citizens, community-integrative services and independent skills training to two clients, and 40 hours of respite care monthly to three Navy families. Our advocacy included over 3,500 hours of individual services to 40 school-age children in regards to their Individualized Education Plans for successful learning, over 100 hours spent at Juvenile Court advocating for five children with disabilities and 3,300 hours of training seven parents to advocate. Our Community Advocate provided information and referral to 450 people, while 265 people attended advocacy workshops. 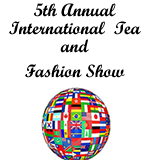 Join The Arc Mid-South at its 5th Annual International Tea and Fashion Show on April 27th at Lindenwood Christian Church. Read more and purchase your tickets today. "I Matter Workshop" Now that I am 18... Who will speak for me? This workshop will provide: Information about obtaining a probate conservator ship, definition of types of Conservatorships and when they should be used and more. Click here to register today.